After three years of sustained community mobilization and advocacy, the Providence City Council in Rhode Island voted this Thursday to unanimously approve among the most visionary set of policing reforms proposed around the country to protect civil rights and civil liberties, including digital liberties. EFF supported the proposed Community Safety Act (CSA), and its adoption represents a milestone that should prompt similar measures in other jurisdictions. The CSA addresses a wide-ranging set of issues in a single reform measure. Reflecting an understanding of of how many different communities endure parallel—but seemingly separate—violations of civil rights and civil liberties, the CSA aims to address surveillance alongside racial and other dimensions of discriminatory profiling. The ordinance imposes crucial limits on police powers at a time when local police have become the leading edge of mass surveillance, as well as longstanding abuses of civil rights and digital liberties rooted in the war on drugs. The most notable facet of the CSA is its sheer breadth. It addresses a wide-ranging set of issues in a single reform measure. For instance, the Act requires that targeted electronic surveillance be supported by reasonable suspicion of criminal activity. On the one hand, that requirement should be implicit given the history of politicized domestic surveillance within the United States. On the other hand, relative to the prevailing practice of ubiquitous intelligence collection, the Act’s requirements represent a monumental legal shift. In addition, the CSA protects the right of residents to observe and record police activities. That right has been vital to sparking a sustained debate across the country about police accountability, but has come under fire. Just this month, a federal appellate court heard oral argument in an appeal seeking to vindicate the right to record police in the wake of trial court decisions in multiple cases perversely holding that residents gain a right to record only after announcing their hostility to police, effectively inviting retaliation or even violence. The bill also protects Due Process rights threatened by the otherwise arbitrary and secretive inclusion of individuals in government gang databases. In California, for instance, state auditors discovered that the state’s program received “no state oversight” and operated “without transparency or meaningful opportunities for public input,” prompting the state legislature to intervene by passing a new law providing notice of inclusion and an opportunity to contest it. 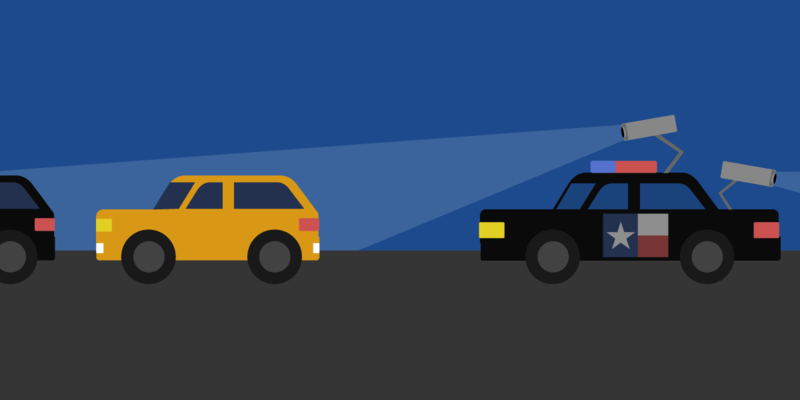 At the same time, responding to controversy about traffic stops and pedestrian stop and frisks rooted in bias rather than observed behavior, the Act requires that police change their processes for searching subjects. In particular, when seeking to search subjects without either a judicial warrant or probable cause to suspect criminal activity, the Act requires police to inform the subjects that they have the right to decline consent to the requested search. That represents a sea change in policing, given the practice among some police departments to train officers to use deception to induce a subject's consent, ensuring that it is neither informed nor voluntary. Similarly, the Act's restrictions on racial profiling and intelligence collection absent reasonable suspicion of criminal activity offer important bulwarks to reinforce our Fourth Amendment rights to be free from unreasonable searches and seizures, as well as 14th Amendment protections to be free from racial and other forms of discrimination. Beyond the CSA’s substantive breath lies a novel theory of change informing its construction. Rather than a discrete reform proposed by advocates, the CSA represents a concerted attempt to address the intersectional concerns of several communities responding to a common challenge: discriminatory or otherwise unconstitutional police practices. While Providence has distinguished itself in the remarkably diverse coalition of community groups that have come together to pursue common cause, the issues to which Providence activists are responding are hardly unique to their city. Ultimately, grassroots groups in every major city across the country might learn something from the coalition to pass the Providence Community Safety Act.